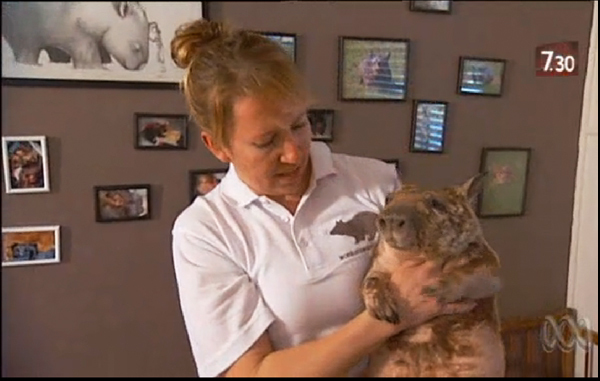 Last night something really touching happened – My Giant Wombat made an appearance on the 7.30 Report! 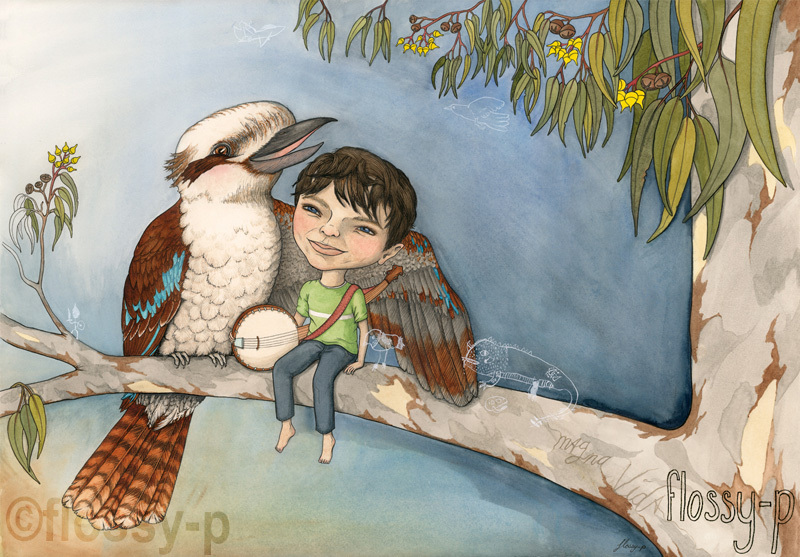 The report was about how despite vegetation being so lush at the moment, Southern wombats are dying of starvation! The problem is that onion weed has taken over the plains, leaving no grass for the wombats to eat. In desperation some are eating the weed and suffering liver failure as a result. It’s awful! While Brigitte Stevens and other amazing people are providing food drops, and nursing sick wombats back to health, the problem is not solved that easily. I must say I was mighty touched that someone so wonderful and inspiring had my art on her wall, and I feel so pleased it found its way to her. At that moment My Giant Wombat artwork took on a whole new meaning for me, as though suddenly I realised it was about her all along. 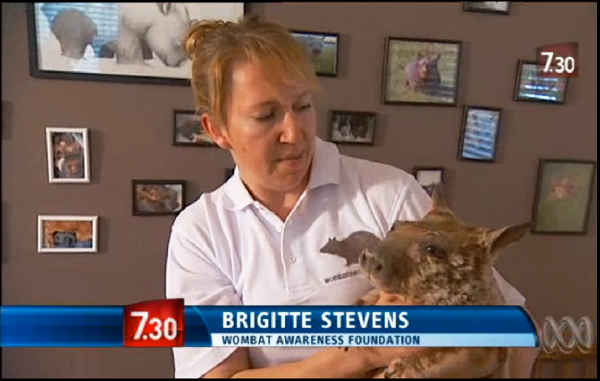 Help the wombats via the Wombat Awareness Organisation, here. And watch the 7.30 Report story here.